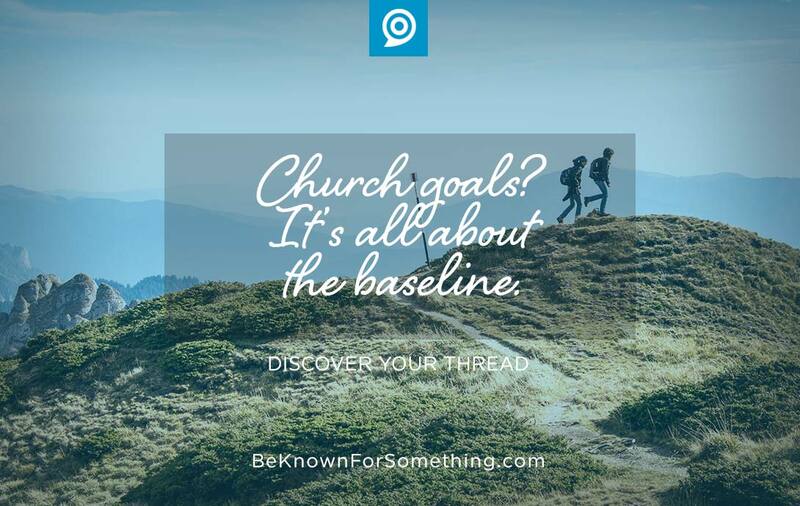 Be Known for Something : Discover Your Church Communication Thread / Communication Strategy / Church Goals? It’s all about the baseline. I love dreaming up goals for myself personally, for ministry, and for business. Have you done it yet? January tends to be the time to set goals and start thinking about fresh ideas. I’m not talking about resolutions that will be forgotten in a few weeks, I’m talking about committing time to focus on things that need changing and then creating a path to conquering the goals. The only people who shouldn’t set goals are those who don’t want to get better. When you try to create a challenging, measurable goal, you realize to do it and feel successful achieving your goal, you need a baseline. I’ve climbed Mount Katahdin (the highest mountain in Maine at the end of the Appalachian trail) several times. When you start to climb the 5200 ft, you set out in a wooded area. This path has a slight incline, but you barely feel like you’re climbing. When you make it to the tree line at Chimney Pond, you discover you’ve climbed higher than you expected before you have to climb the final steep rock faces. A baseline takes note of where you currently are. It’s like standing at Chimney Pond and “seeing” where you’re at. Its understanding how far you’ve come to date before taking on the new goals. You must do this in order to understand how your goals will unfold in the future. It’s the easiest form of encouragement too! Itemize what’s important. Decide what needs changing. What’s broken or what’s not producing the return you’ve hoped for (i.e. 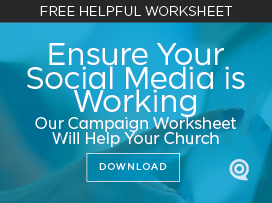 Social media engagement, website views, bulletin quantities, email opens, etc.). Get the facts. It’s tempting to fudge the numbers instead of getting the “real” ones. No one should be critical or defensive of baselining. It’s simply where you’re at before you implement change. Take the time to get the right numbers for the things you’re anticipating to change. Talk to people who want success. Part of baselining is to dream what it’ll look like when you get to the peak. Don’t rely on yourself. Create a team that wants the same success you. You’ll need assistance along the way and these people will do that. You also want accountability! Write it down and set an appointment to review progress. More goals are accomplished when you write them down. But it must start with writing down the baselines. As you “climb” and do the grueling tasks of accomplishing the goals: stop, turnaround, and enjoy the views along the way. Course correct if necessary. Little by little, you’ll do great things as you bathe your work in prayer.